Escape the urban bustle at Cleland Wildlife Park and Hallett Cove Conservation Park. Relax by the water at Carrickalinga Beach and Seacliff Beach. Venture out of the city with trips to Aldinga Beach (in Aldinga Beach), Blowhole Beach (in Delamere) and Harvest the Fleurieu (in Mount Compass). Dedicate the 2nd (Sat) to wine at some of the top wineries in the area. There's still lots to do: hunt for treasures at Adelaide Central Market, enjoy the sand and surf at Horseshoe Bay, do a tasting at Murray Street Vineyards, and take in the dramatic natural features at Onkaparinga River National Park. To find other places to visit, more things to do, and tourist information, read Adelaide trip site . Frankfurt, Germany to Adelaide is an approximately 25-hour flight. You can also do a combination of flight and bus. The time zone difference moving from Central European Time to Australian Central Standard Time (South Australia) is 8 hours. Traveling from Frankfurt in February, expect Adelaide to be warmer, temps between 32°C and 19°C. Finish your sightseeing early on the 4th (Mon) so you can travel to Penrith. Penrith is a suburb and major centre in the metropolitan area of Sydney, New South Wales, Australia. On the 5th (Tue), identify plant and animal life at Featherdale Wildlife Park, then take in the spiritual surroundings of Othman Bin Affan Mosque, and then get great views at Burragorang Lookout. Get ready for a full day of sightseeing on the 6th (Wed): explore the striking landscape of Berowra Valley National Park. To find ratings, more things to do, reviews, and more tourist information, go to the Penrith road trip planning site . Use the Route module to find suitable travel options from Adelaide to Penrith. Expect a daytime high around 31°C in March, and nighttime lows around 19°C. Wrap up your sightseeing on the 6th (Wed) early enough to travel to Manly. Escape the urban bustle at Shelly Beach and Balmoral Beach, Mosman. Visit Bilgola Beach and Palm Beach for some beach relaxation. Explore the numerous day-trip ideas around Manly: Ingleside (Baha'i House of Worship & The Baha'i Temple), North Narrabeen Beach (in Narrabeen) and Whale Beach (in Whale Beach). Next up on the itinerary: look for all kinds of wild species at North Head Sanctuary, enjoy the sand and surf at Warriewood Beach, tour the pleasant surroundings at Mona Vale Beach, and contemplate the long history of Vaucluse House. For other places to visit, traveler tips, and more tourist information, refer to the Manly travel route site . You can drive from Penrith to Manly in 1.5 hours. 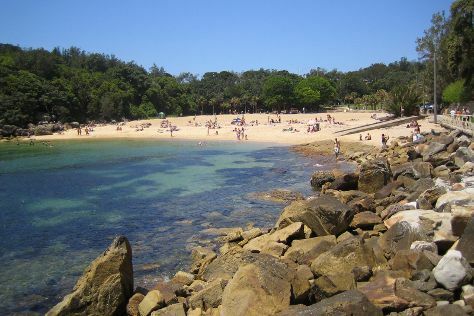 March in Manly sees daily highs of 30°C and lows of 22°C at night. Wrap up your sightseeing on the 12th (Tue) to allow time to travel to Melbourne. Visiting Balloon Rides and The Great Ocean Road will get you outdoors. 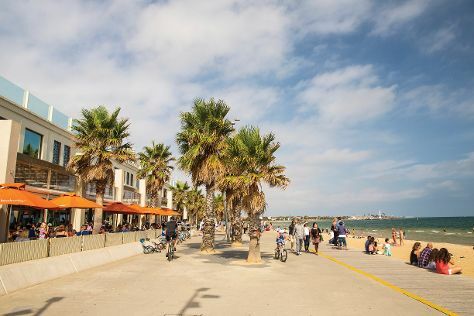 You'll enjoy a bit of beach vacationing at St. Kilda Beach and Half Moon Bay. Explore the numerous day-trip ideas around Melbourne: Werribee Open Range Zoo (in Werribee) and Cowes (Koala Conservation Centre & Phillip Island Wildlife Park). Spend the 16th (Sat) wandering through the wild on a nature and wildlife tour. There's still lots to do: wander the streets of Melbourne Central, tour the pleasant surroundings at Melbourne Zoo, enjoy the sand and surf at Sandridge Beach, and see some colorful creatures with a scuba or snorkeling tour. For traveler tips, reviews, ratings, and tourist information, read our Melbourne road trip website . Do a combination of ferry and flight from Manly to Melbourne in 4 hours. Alternatively, you can drive; or do a combination of ferry and train. Traveling from Manly in March, you can expect nighttime temperatures to be slightly colder in Melbourne, with lows of 15°C. On the 23rd (Sat), you're off tohome.